Growing up in Australia, I paddled a kayak along some of the world’s most spectacular waterways. However, it wasn’t until I joined the crew of a pirogue team in French Guiana that I felt truly alive. Originally, I travelled to the country to visit my boyfriend’s family. After nine hours in an airplane from Paris, I stepped outdoors from the air-conditioned cabin and within five minutes my shirt was sticking to my back. In another five, sweat beads were forming on my forehead. It was six o’clock in the evening — sunset on the equator — and it was hot. As I walked from the terminal, I snatched up a handful of tourist brochures. “Some of the most beautiful, uninhabited beaches in the world, and river journeys by traditional [dugout] canoe (pirogue) …” one of the brochures read. Little did I know at the time, these boats would play a role in me extending my visit to French Guiana indefinitely. In fact, I now call the country home. 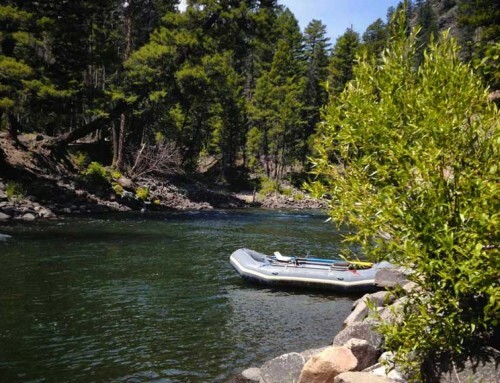 My fondness for rivers and paddling sports began when I was six. My father sat me on the front of his surf-ski at Miami Beach in Queensland, instructing me as the blades of my oversized paddle dipped haphazardly into the ocean. Two decades later, I walked along the sands of Cocoteraie Beach in French Guiana’s Kourou. There was just enough light to make out the shapes and bright colours of the pirogues. As the sky turned from a brilliant pink to clear blue, over 100 paddlers had assembled beside their boats. 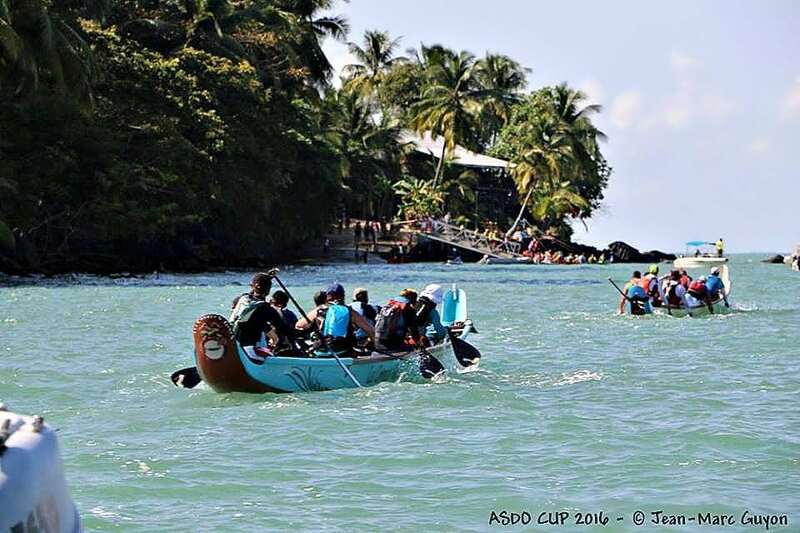 The Association Sportive de l’Ouest (Association of the West) ASDO Cup is an annual sea race in French Guiana. 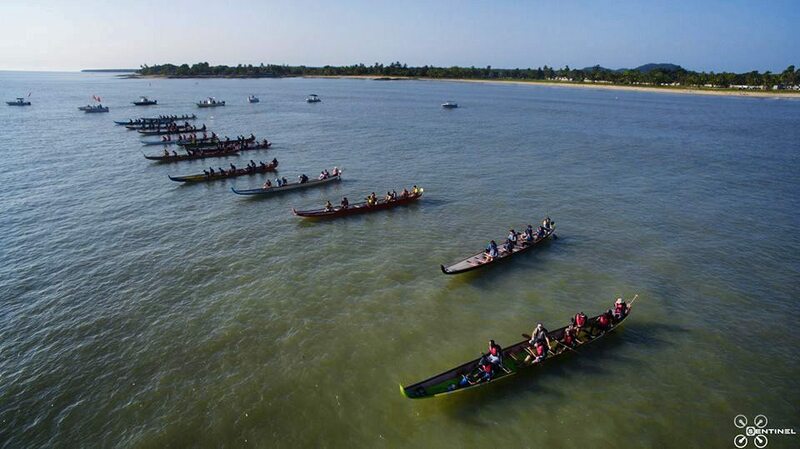 The course follows a 35-kilometre circular route from Kourou around the island of St Joseph, and is a test of endurance, skill, stamina, navigation and synchronicity. Men’s, women’s, and mixed teams flocked to Cocoteraie beach for the start of the race, decked in varied modes of dress: an Amerindian men’s team wore traditional red body paint for sun protection; the French Foreign Legion’s team members’ muscles rippled under forest green t-shirts; the women’s teams ranged from scarlet and black cowboy hats and ribboned garters to fluorescent lycra miniskirts and glittered makeup. Our eight-person mixed team wore orange and gold to represent the flames suggested by our name, Faya Boto — or “boat on fire”. It took our combined strength to push the pirogue into the water. We clambered inside and set off on a pre-race warmup to balance the boat. Unlike boats in other team paddling sports around the world, pirogues are wider than an arm’s length. 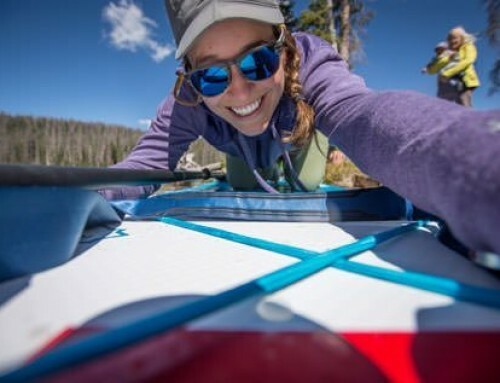 In order to switch paddling sides, paddlers fling themselves to the opposite side in a tricky maneuver that can spell disaster if a mistake is made. 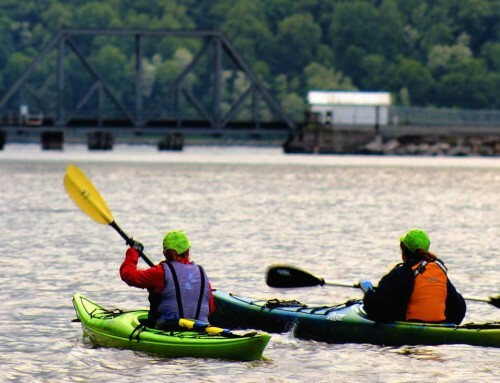 Boats can quickly fill with water and capsize, launching paddlers into the sea, so maneuvering requires concentration and perfect coordination. Minutes before the start of the race, I turned and nodded reassuringly to the volunteers in our designated safety boat who were on hand in case we got into trouble. The races typically start in calm conditions, but, in the tropics, strong winds, large swells, and crashing rain can rip through the stillness of a calm day in a fraction of a second. It is a sizable challenge to get pirogues lined up and hold them steady for the race. Our steersman concentrated on keeping the boat straight, while our caller, who issues tactical advice from the bow, was focused on the starter. She signalled with a raised arm, and we obediently raised our paddles. The loud hailer was raised to the starter’s lips, the horn sounded, and we lurched forward in a battle to clear the pack. Thirty minutes into the race, my mouth was dry, and I tilted my head forward between strokes to gulp mouthfuls of cool water from my Camelbak. Calm conditions predictably gave way to a headwind and choppy seas, intensifying the challenge. We began digging our paddles deeper into the water. 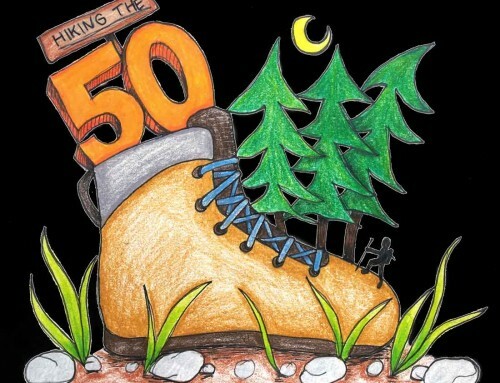 Submitting to fatigue when we were so close to the half-way portage point would be unthinkable. We held a strong lead over the competition, motivating us to push harder. There was organized chaos at the pontoon marking the halfway point. Teams from the men’s division were being urged to push off, while our mixed team was being directed to move forward. As our paddlers on the left side of the boat reached out toward the pontoon, the clock stopped. We hastily crawled from the pirogue as our replacement crew leapt in to take our place. When the final team pushed off from the pontoon, we were ushered aboard a catamaran to bring us back to the beach in time to watch the finish. Our replacement team retained the strong lead we had gained in the first half of the race, the sight of the finishing flags filling them with vigour as they sprinted toward the end. Winning the mixed-team title for the second year was thrilling. The crew in the pirogue cheered and held their paddles high in the air, while those of us waiting on the beach flung ourselves into each other’s arms. The joy of any paddling competition is the energy and spirit continued long after the finish of a race. 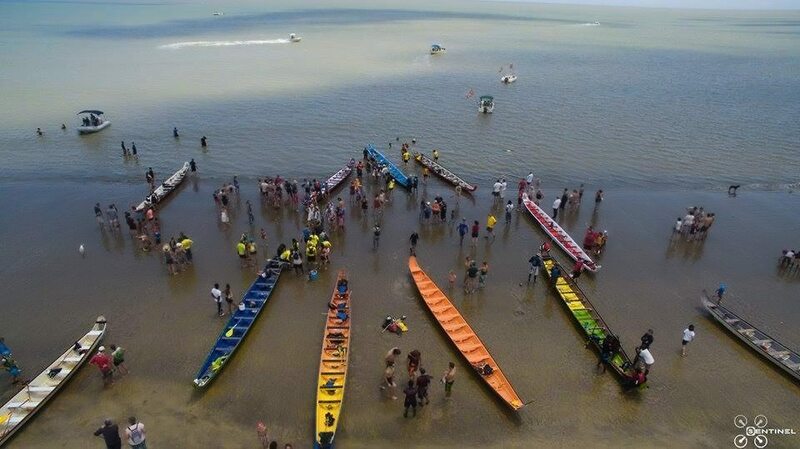 Whether in a kayak on the Pacific, or a pirogue in the Atlantic, participants celebrate the excitement, friendly rivalry, and community spirit of the event. I ended the day a little sore and a little tired, but full of happiness. In a pirogue, I’m as much at home as I am on a surf-ski off the coast of Queensland, even if I’m living halfway around the world. 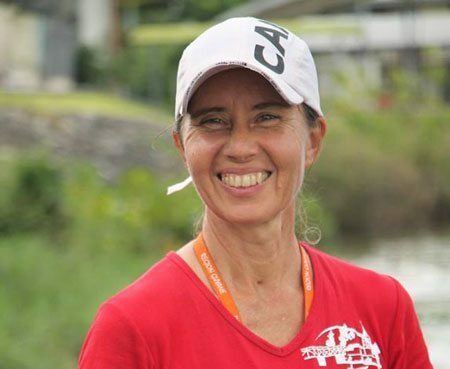 Donna Mulvenna is a horticulturist living in French Guiana. 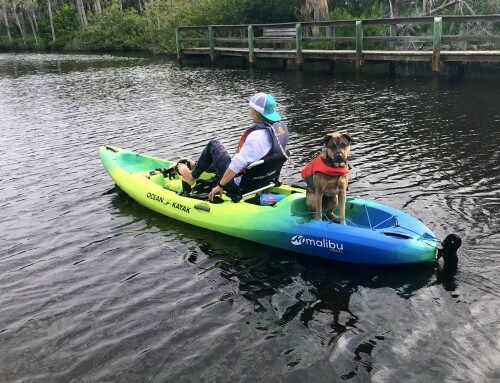 When she isn’t writing from her treetop office, you will find her reading in a sea kayak off the coast, or hurtling along the wild, untamed rivers of the Amazon rainforest in a sprint canoe.